ACES > News & Features > How much mercury is transported in aquatic food webs? How much mercury is transported in aquatic food webs? Sampling under windy conditions in Stockholm Archipelago and trying out different equipment to collect biota, sediments and waters from four lakes in Tyresta National Park. The focus for the students taking part in a master program in Environmental Science is to investigate how much mercury is transported in aquatic food webs. 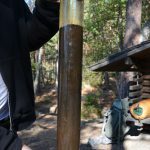 A new academic year has just begun and the Department of Environmental Science and Analytical Chemistry (ACES) has welcomed a group of new master students to their first course, Experimental Studies in Environmental Science, which includes fieldwork investigating mercury contamination in natural waters. 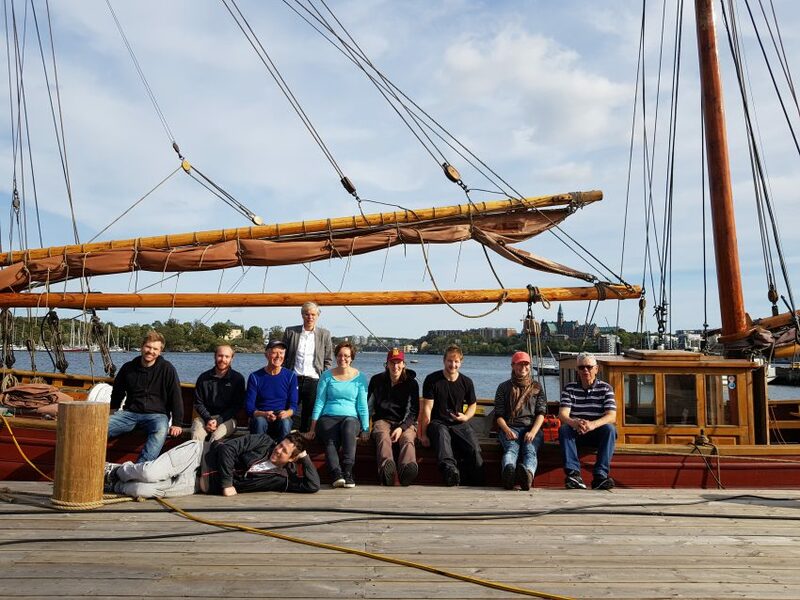 The course started with an intense week of lectures and planning the excursions before they set sail to the estuary outside Tyresta National Park onboard the research vessel Sunbeam, a wooden ship built over 100 years ago that now has been rebuilt and certified as a research vessel. 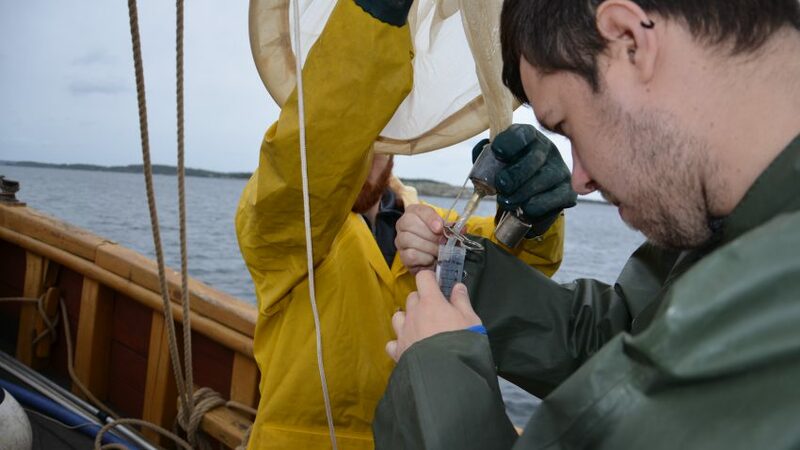 “From the ship, plankton, sediment and water were collected, all according to sampling procedures taught and the sampling transect the students together had decided on”, says Sofi Jonsson, Assistant Professor at ACES who is responsible for the course. Direct measurements were also conducted using a so called CTD, an instrument used in natural waters to record conductivity, temperature and depth throughout the water column. 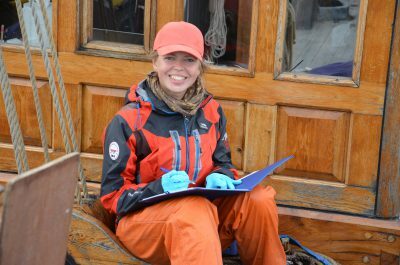 “The students were not only responsible for the actual sampling, but also for planning the sampling campaign on a day-to-day basis together with the crew onboard and teaching each other the different sampling techniques”, says Sofi Jonsson. The week offered a number of challenges including sampling under very windy conditions and avoiding contamination of the samples by using clean-hand-dirty-hand procedures, an established technique for the sampling of natural waters for elements such as mercury that occur in very low concentrations. “One of the things we learned was that sampling in theory and sampling in practice are very different things”, says one of the students, Ilija Vlajic. “On the paper it looked very straight forward, but in practice there is a lot of things going on at the same time and it was a challenge to manage everything. There were also a lot of changes that had to be made to the sampling plan because of weather conditions and logistics.” But in the end, all planned samples were successfully collected and brought to the lab. 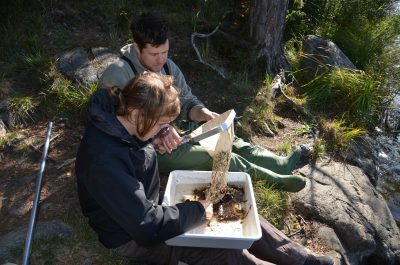 After the successful sampling campaign in the Stockholm Archipelago it was time to start planning and packing for the next sampling in Tyresta National Park. 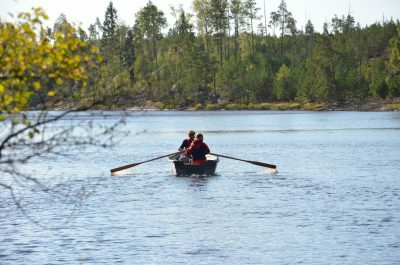 In Tyresta By, they met up with one of the park rangers who regularly sample the park’s lakes within a national monitoring program. The students got the chance to hear about her work and also help her out with the sampling. During a three-day campaign they collected biota, sediment and waters from four of the beautiful lakes in the park. “During our visit to the lakes and their watershed, the students got a good amount of experience of sampling from a smaller boat using standard equipment and sampling techniques”, says Marcus Sundbom, Head of the Biogeochemistry unit at ACES, and one of the teachers during the field excursions. The students now have a few weeks in the laboratory to analyze collected samples, evaluating the results and write a report that will be presented in the end of the course. One major theme is the distribution of mercury in the studied ecosystem and its transfer in the food web. Mercury is a toxic heavy metal known to accumulate in aquatic food webs with potential negative effect on wildlife and human health. Monika Gineityte, one of the students, says that it was good to take responsibility and participate in a team during the fieldwork and important to learn the different sampling techniques and to compare how different it is to take different kind of samples. “Like when we were sampling sediment and did not get any at first but then decided to change location and finally were able to complete the task”. The whole group gathered at the research vessel Sunbeam.